Got 30 minutes? 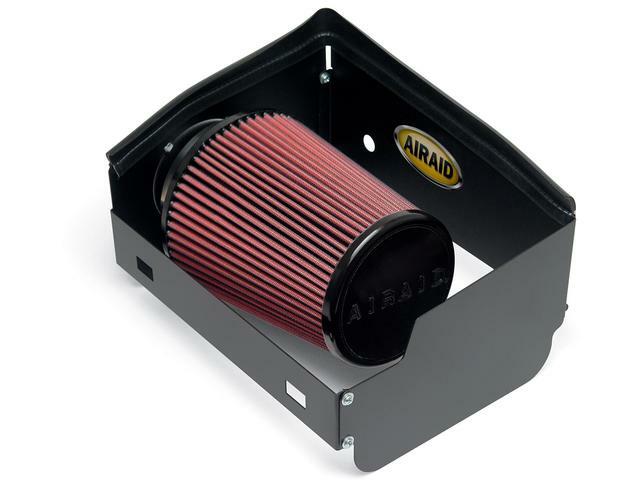 AirAid SynthaFlow QuickFit intake systems are install-friendly kits with a power punch. Designed to work with your factory cold-air inlet and filter housing, AirAid QuickFit systems provide your engine with increased cool airflow to make additional horsepower. These SynthaMax bolt-on systems replace your current restrictive system and its paper filter with a high performance filter that offers maximum filtration without sacrificing airflow. AirAid makes it quick and easy to boost your power with SynthaFlow QuickFit intake systems.